Great opportunity to own a nice home in unit 20 PV with an open and spacious split floor-plan. 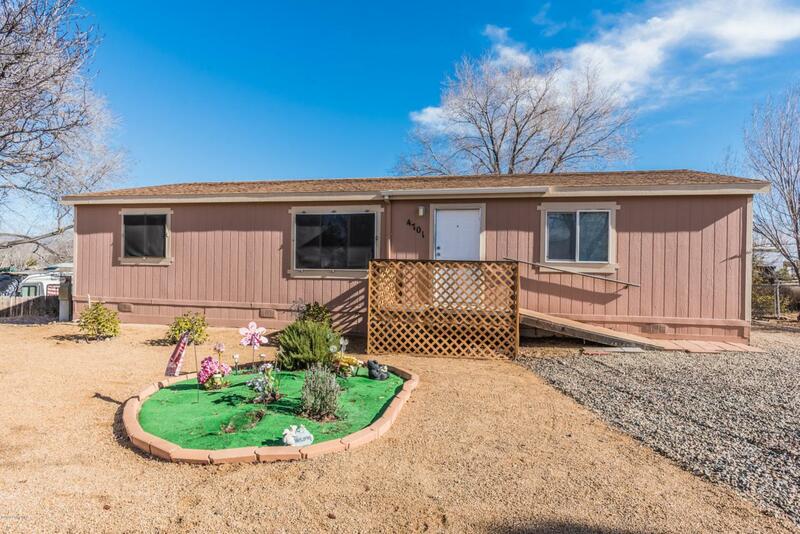 Very functional 1296sqft home has 3 bedrooms and 2 bathrooms. Extended back deck with a cozy sitting area. Multiple windows brighten up a spacious Kitchen that has abundant all white cabinets, an Island with sink and dining area. Master bedroom has a walk-in closet and a 3/4 bathroom. 2nd and 3rd bedroom have walk-in closets. Ceiling fans in most rooms and vaulted ceilings throughout. Fenced backyard with a 12x12 storage shed. Located near schools, shopping and medical facilities. Listing provided courtesy of Timothy Michael Burke of Realty Executives Northern Az.